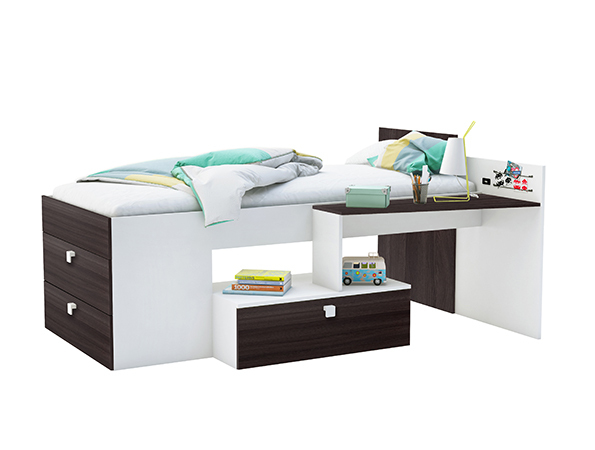 Move Bed combines a Twin bed, desk and storage drawers to make most efficient use of space. Also features a USB port to recharge a phone or tablet. From the Demeyere Biscayne Collection by Primo International.